Greetings fellow F-150 members. I have my son's 2007 King Ranch that I am preserving in his memory after he passed away in May of 2018. the truck is in excellent shape except for a few minor things here and there. 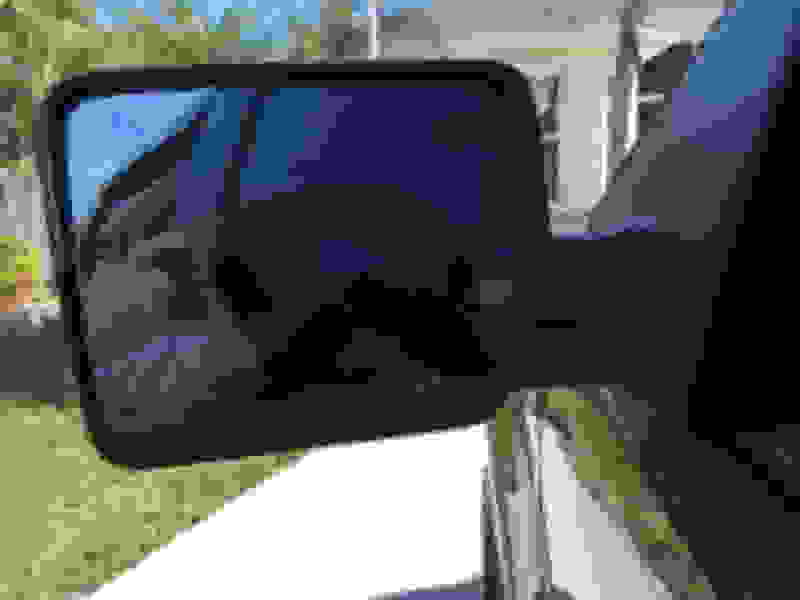 One of the semi-issues is in the drivers side view mirror. 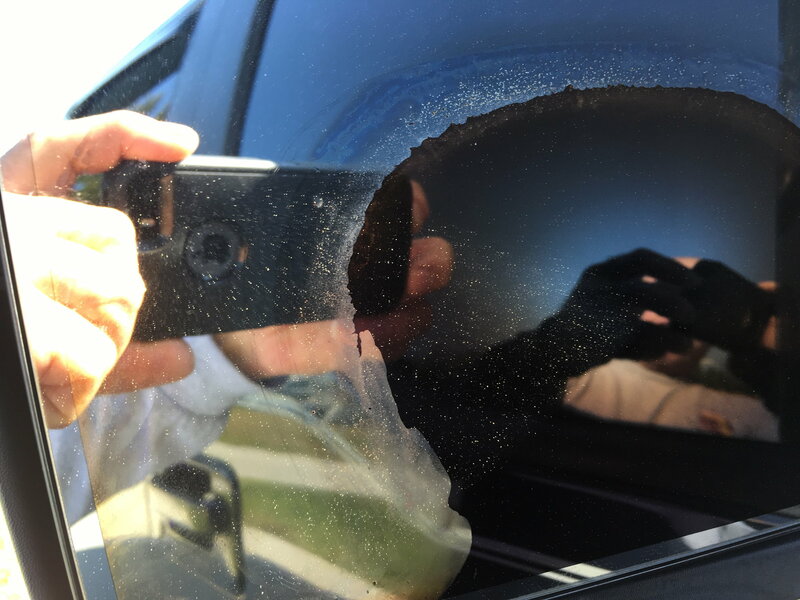 In the pictures you can see that there is what looks like a "wet" spot under the mirror glass. I know it is not water because it has yet to evaporate and remains looking like the pictures show all the time. *What is it that is in the glass? *Can it be remedied without replacing the entire mirror assembly? *If the entire assembly has to be replaced, is it a major project,or something I could take care of and remove and replace it myself? *If the entire assembly has to be purchased and replaced, besides the stelearship, can you guide me to where I could find an exact replacement? The large Ford dealers have discounted OEM parts online. Thank you so much my friend for your quick reply.I can't even begin to tell you how much I appreciate you and the others for helping me. 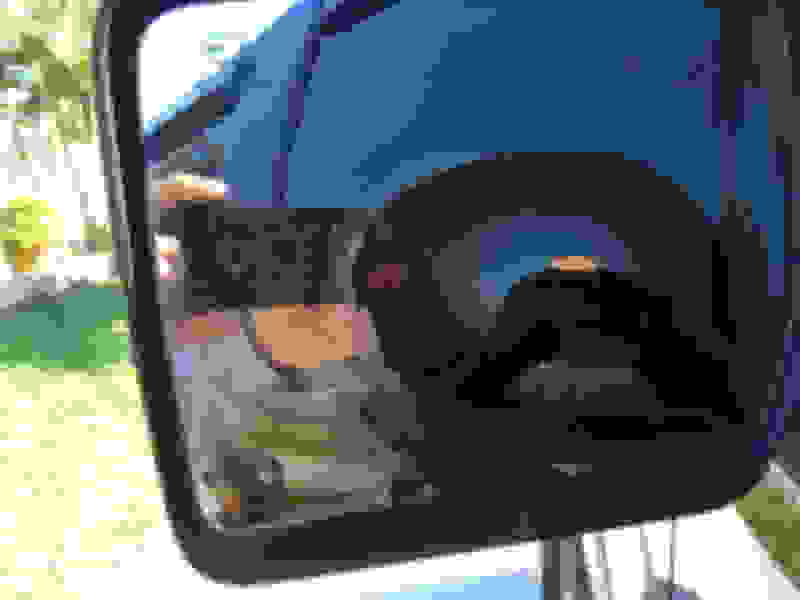 Is there a way for me to remove the mirror portion only without having to remove the entire mirror assembly? Also I don't mean to be PITA, but do you have any idea where I can find instructions on how to remove the mirror glass only? Is that something I should be able to do or is it a special type of removal and replacement that is necessary? Hi, fireguy - I moved your thread out of the "forum suggestions" section into a section that is more appropriate. glc has given you good advice and you might see some other thoughts here. I THINK there's a way to remove and replace the glass itself, but I've never done it. Take it to an automotive glass shop and see what they say. Jack, thank you for moving the thread to the right place. i wasn't to sure where it should be. Yes Sir i agree with you that the information and link that glc gave me was great. I saved it for me to reference too. I just wasn't sure about removal of the mirror glass itself. I will keep researching though. Thank you again for your help. My name is Mike. Mike Jr. and I worked on the same fire dept. The #7703 was my badge number and #0603 was his.You can call me Mike, ok? Thank you again. Yes Sir thank you for the link. I saved it so i can reference it. I will have to try the automotive glass shop and see if they can tell me. Honestly the mirror works fine. The spot itself is more of a"I know its there thing" and as picky as I am i merely want to fix it because of that. Can thank you enough for your help. You're very welcome, Mike. Hope you can get the repair done quickly. I can see it means a lot to you. Thank you for your help. I decided to "bite the bullet" and order a new mirror assembly from the TASCA parts center link that glc sent to me. I contacted the auto replacement glass company that is in our town yesterday, and they recommended that I replace the unit. He told me very seldom if at all do they replace the mirror glass only. With that in mind I decided to just go ahead and order the entire unit (ugh..$548.00) from TASCA. They have the exact mirror in the gloss black that I need so I won't have to get it painted once I received it. I pulled up a couple of You Tube videos from 1aauto.com and they show in detail how to remove the door panel as well as the mirror assembly. Once I receive it it looks like its not really that big of a project to do. I also ordered a new rear tailgate FORD badge to replace the faded one so the mirror and the badge should be high and tight once I receive them and install them. Thank you Jack and the others for your help After that is done the next big project is a total repaint of the exterior, but that project is down the road a little.Just taking care of the little things first to make it right in his memory. Last edited by fireguy7703; 02-06-2019 at 08:19 AM. One piece of advice, make sure you don't use force to remove the door panels. You'll regret it later on from all the rattling and noises because the clips are then broken. Yes my friend thank you. Actually my son and I replaced the electric window regulator in the drivers door in fall of 2017. There is a great YouTube video of door panel removal from https://www.1aauto.com/ that we used that was really helpful. Thanks though for the heads up. I will be sure to be as gentle as possible so i don't do any damage to the clips and the panel itself too.